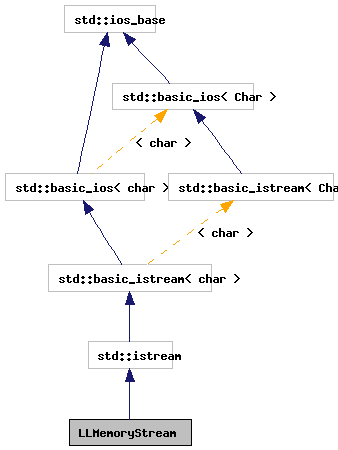 This implements a wrapper around a piece of memory for istreams. The memory passed in is NOT owned by an instance. The caller must be careful to always pass in a valid memory location that exists for at least as long as this streambuf. Definition at line 76 of file llmemorystream.h. Definition at line 65 of file llmemorystream.cpp. 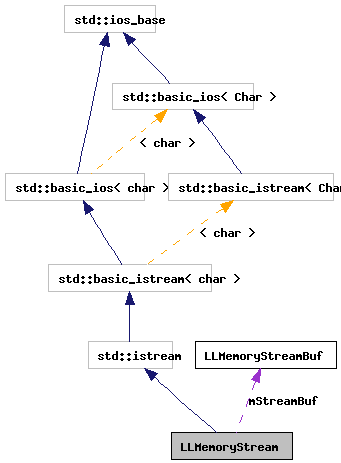 Definition at line 71 of file llmemorystream.cpp. Definition at line 83 of file llmemorystream.h.